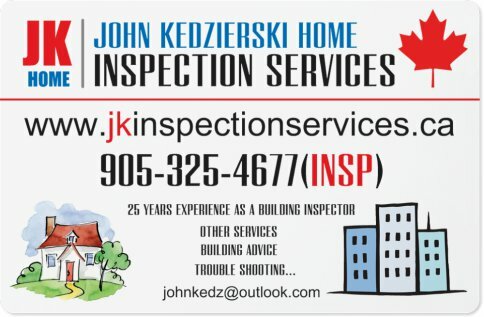 jk Home and Commercial Inspection Service is fully insured for errors and omissions and liability. Before you hire anyone else ask to see proof of insurance. Receive a Professional Inspection at a competitive price. No franchise fees, free books or hidden costs for you to pay. Are you considering an addition, renovation, alteration? Maybe an upgrade to your existing home, don’t know where to start? Do you need advice, but don’t know who to ask? Call me. I’ll explain your options and offer you ways to save your money. Do yourself a favour, call me today.